To fulfill your need to roll fabric from roll or pile from whether the purpose is inspection measuring cut to lenght or to improve roll fabric double fold platting machine. 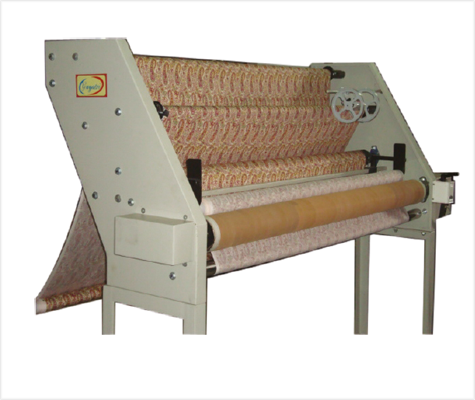 Presentation the gayatri model Mini Rolling serves the purpose of fabric double fold platting machine. The light duty low cost, easy to operate and compact by size model is ideal for warehouse or retail units for fabric double fold plataing machine. Fabric plating machine and double fold platting machine manufacturers, suppliers and exporters in Mumbai India to entire world.